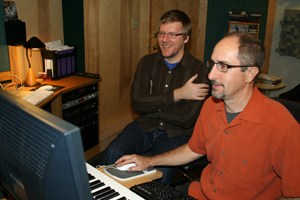 Since 1992, John Kusiak has composed and produced music for film, television, advertising and live performance – including several award-winning documentaries – through Kusiak Music. Read more about John and some of his creative collaborators. Since 1992, John Kusiak has composed and produced music for film, television, advertising and live performance – including several award-winning documentaries – through Kusiak Music. 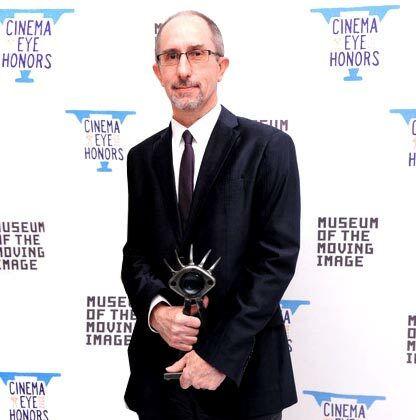 He won the 2012 Cinema Eye Honors award for Best Original Music Score for Errol Morris' Tabloid. John studied music theory and composition at the University of Missouri and played guitar in several rock and jazz bands in the ’80s and ’90s, including the Pousette-Dart Band and The Original Rhythm Method. Most recently, he is part of a five-member band that performs live to Tillie’s Punctured Romance, the first full-length movie featuring Charlie Chaplin. P. Andrew Willis has collaborated with John since 1999. He composes and arranges music and handles a wide variety of production duties. Andrew studied music at the University of Louisville and Berklee College of Music in Boston. He has recorded, performed and occasionally toured since 1993 with the bands Crappy Nightmareville and The Web. Rob Jaret began working with John in 2008. He composes, orchestrates and otherwise assists in the music production process. Rob graduated from Berklee College of Music in film scoring and jazz performance, and studied composition at Longy School of Music in Boston. 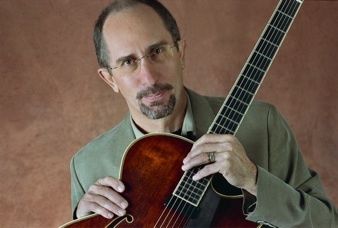 He has recorded and performed with his jazz quartet in the Boston area. Kenny Kusiak helps out Kusiak Music and works on freelance sound design and music composition projects from his home studio in Brooklyn, NY. He graduated from Colorado College with a degree in music in 2010 and has performed in and written music for various bands since he was 12.